As President Trump ratchets up the U.S. military in his latest budget proposal, his counterpart, Russian President Vladimir Putin, has reportedly created a hypersonic missile with such devastating implications for the U.S. Navy, that it is being called "unstoppable." The Kremlin's Zircon missile has been called "unstoppable", "unbeatable" and "undefendable" with a 4,600mph speed that only one defence system in the world can destroy - that system is owned by Russia. 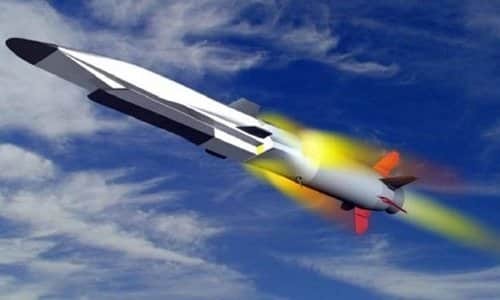 The missile employs revolutionary scramjet technology to reach its hypersonic speeds whereby propulsion is created by forcing air from the atmosphere into its combustor where it mixes with on-board fuel - rather than carry both fuel and oxidizer like traditional rockets. This makes it lighter, and therefore much faster. The Zircon has been in testing stages this year and would be capable of destroying the world's most advanced warships and aircraft carriers in one strike and could be put into action by 2020. The US Navy warns it could be fitted to Russia's nuclear-powered Kirkov warship, where it would have a range of up to 500 miles.